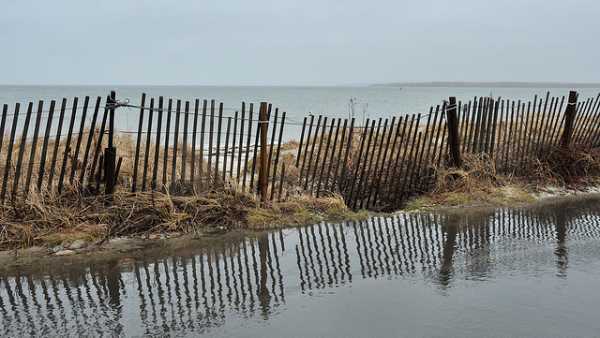 A Coastal Flooding Advisory is in effect for Monmouth, Ocean, and Middlesex counties until early this afternoon, according to a National Weather Service bulletin. Issued at 10:09 a.m. today, the bulletin advises that minor tidal flooding is occurring this morning. Tides are running slightly above normal, according to the National Weather Service. High tide at Sandy Hook was at 10:02 a.m., the bulletin says. Areas that are prone to tidal flooding will likely flood. Motorists should not drive through flooded areas. The advisory continues until 1 p.m.